Hunters the Estate Agent, the UK’s fastest growing independent estate agency group, is proud to announce its silver award in the coveted ‘Large Estate Agency of the Year category’ at this year’s hotly contested, The Negotiator Awards – one of the most prestigious and recognised industry awards ceremonies in the residential property calendar. Taking place at a glittering awards ceremony at the Hilton Park Lane on 5 November 2013, The Negotiator Awards celebrate the skills and achievements of the leading players of the estate agency industry. 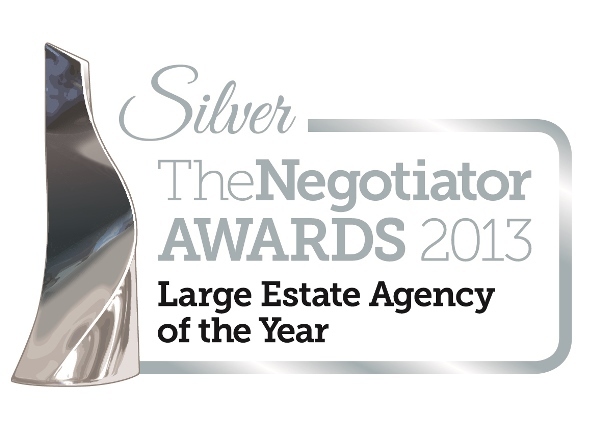 Beating off tough competition in a category filled with industry heavyweights including Foxtons, haart and Your Move is a real achievement given that 2013 saw a record-breaking number of entries across the board. Established in 1992, Hunters has over 100 independently owned branches nationwide and operates in city centres including Birmingham, Manchester, Liverpool, Middlesbrough and Hull and over 30branches throughout London and the south east. There are plans to open further branches in the coming months and throughout 2014.